To answer your question in just one word “extremely important” But what does that mean in real terms – and why should you care? Centre-of-gravity can make all the difference for fuel economy and safety when it comes to transporting liquids. Centre-of-Gravity is the imaginary point at which the weight of the object is concentrated. In real terms, this means where gravity is expected to act upon a certain object so that we can predict the behaviour of it. If something has a high centre-of-gravity, we expect gravity to act more on the top of an object, if something has a low centre-of-gravity, we expect gravity to act more on the bottom of an object. When it comes to stationary objects, centre of gravity is not all that important. However, when it comes to moving objects, it can help us to predict how the object will move. While this is important for predicting the behaviour of moving objects, it becomes all the more important when we’re talking about something that moves around inside an object and changes the weight depending on its movement – which is what liquid does. When liquid is transported, it moves around the tank, meaning that different areas of the tank become heavier depending on where the liquid has moved to. As a vehicle transporting a tank moves on the road, it shifts the liquid inside to one side or another, meaning that the heaviest point is constantly different as the liquid finds it level. If you have a high centre of gravity (the greatest weight is concentrated at the top of your tank) this means that driving around corners and up hills allows gravity to have more influence over the weight than if you have a low centre-of-gravity. A low centre-of-gravity is important, as this means that as the liquid shifts around, it is less likely to cause tipping and rolling than if you have a high centre-of-gravity. So How Do We Influence Centre-of-Gravity? If you think about it – a circular cross section would allow for more liquid to fit inside the tank than the common elliptical cross section tanks. However, circular cross sections have a much higher centre-of-gravity, meaning that the risk of rolling the truck is much, much higher when turning tight corners. Interestingly, a rectangular cross section would have the lowest centre-of-gravity – but due to issues like fitting in lanes and cleaning, the elliptical cross section is the safest and most practical for driving and usage. 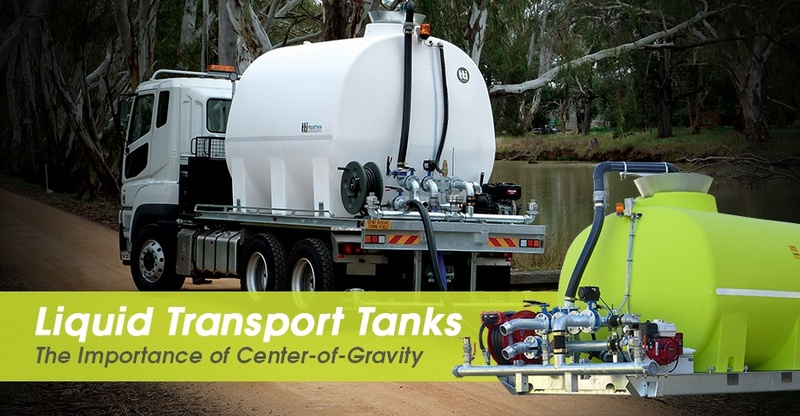 Centre-of-gravity is hugely important when considering buying a transport tank, as this will influence how safe it is to drive, and how likely you are to tip, as well as its ability to climb hills and inclines. 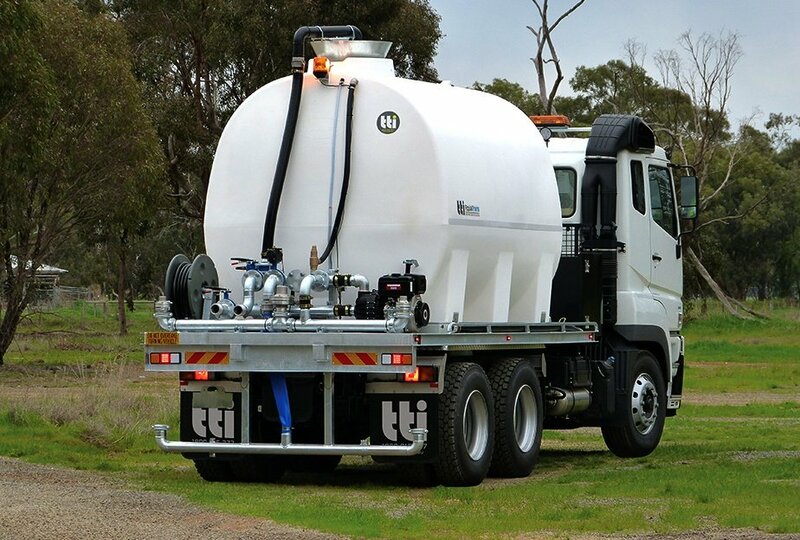 This can make a huge difference to safety when it comes to using and transporting liquid fertiliser, fuel or water for firefighting. All TTi tanks are designed carefully to ensure the Centre-of-gravity is as low as practically possible.